These classic, American-made slims are designed with a slightly longer, 36" inseam ideal for taller frames and those who like a more pronounced cuff. The dark-washed Japanese indigo stretch denim has been hand-sanded and whiskered at the natural wear points for a broken-in look and feel. 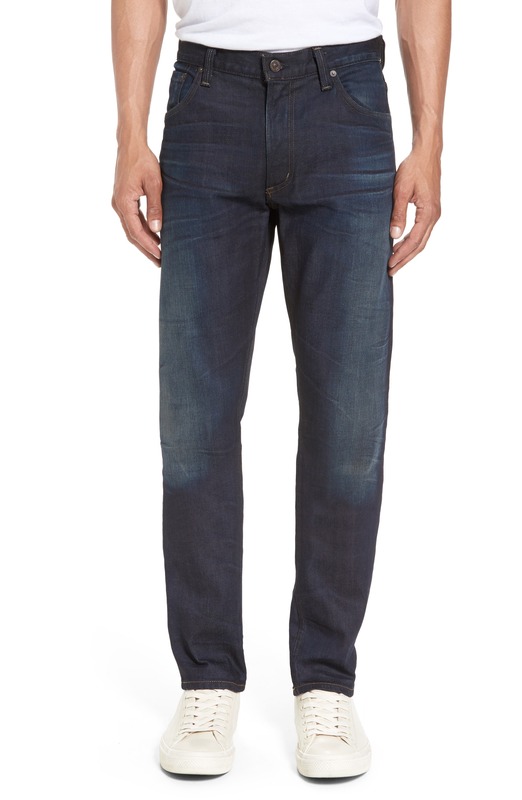 Style Name: Citizens Of Humanity Bowery Slim Fit Jeans (Huron) (Tall). Style Number: 5406579. Available in stores.